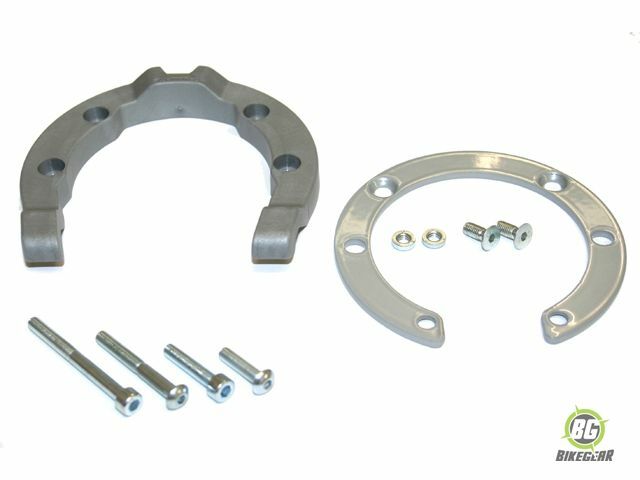 Tank Ring for Yamaha Sachs  enables the mounting of SW-Motech Tankbags. QUICK-LOCK Tankring is safely and securely attached at the tank cap ring. This tank-ring enables a QUICK-LOCK Tank-bag to be mounted or removed easily and quickly. Because of the tank-ring, the tank-bag does not have any contact  with the tank thus avoiding any scuffing or scratching. The tank-ring can be used on  aluminium and plastic tanks as well. Easy to refuel your bike as the tank-bag can be removed in seconds.